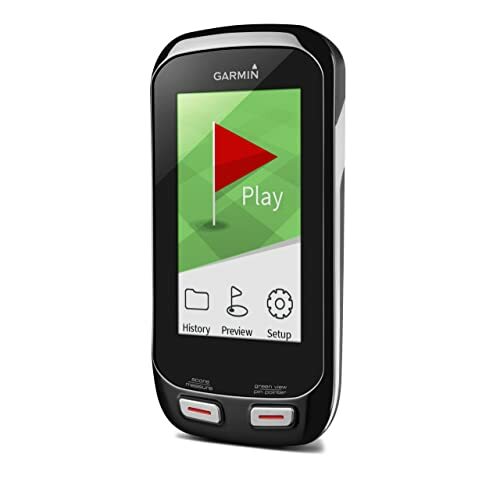 With a three-inch color display and more that 38,000 preinstalled golf courses from around the world, the Garmin Approach G8 makes the cut as one of the most advanced golf GPS in the market. Having tried it and still using it, I would highly recommend it to any golfer whether they are new in the sport or pros. Usually when I buy any handheld, full screen GPS my expectation is that it will perform as fast and efficiently as my Smartphone. In most cases, I end up getting disappointed because most of the devices that I have bought never live up to my expectation (which, by the way, have been many since I started playing golf). However, when I picked up the Garmin Approach G8 I knew I had myself a special device just by looking at it. What impressed me most with this device is the fact that it is a “Plug N Play” by just turning it on with a power button on the side the device was ready for use. It also automatically finds and recognizes the course that you are playing on in a matter of seconds. In fact, it only took me less than 30 seconds to do everything from start to finish. Efficiency and accuracy were the other two things that impressed me, and I can tell you for sure that my golfing experience is way much better since I started using Approach G8. PinPointer: This feature is very helpful when lost in the woods or when taking blind shots as it helps you locate the direction of the pin accurately. PlaysLike Distance: When playing uphill or downhill you never have to worry about accuracy thanks to this feature. Garmin Approach 8 will display distances adjusted for slope and elevation. Club Advice: Using the shot measurement feature the Approach G8 will be able to display recommended club at the bottom of the screen. This feature will help many players to know what club to pull next when playing. Shot Measurement: By simply pressing a physical button a player will be able to begin tracking shot distances and assigning certain averages to individual clubs so that they can use the Club Advice feature mentioned above. Scores and Statistics: Just like most previous Garmin device the Approach 8 will be able to hold basic scores and statistics for your game. Some of these stats include putts, scores, and fairways hit. Auto Hole Recognition and Advance: Once the Approach recognizes the course it will start you on hole number one, and you can choose either automatic or manual hole transition to the next hole. Wi-Fi Connectivity: This is a great feature hence you don’t need a PC to manage your device. Morever, courses will be updated automatically with a Wi-Fi connection. Smart Notification: By connecting with your smartphone, you will be able to receive email, text or alert on your Garmin Approach G8. The biggest benefit that you get from using the Garmin Approach G8 is increased accuracy. Although many other devices can offer you, the basic GPS functions very few of them will offer you a similar accuracy to the G8. Besides from also improving your overall gaming experience this GPS will also have a high value when compared to its cost as it’s packed with many features. It shows adjusted distance for uphill and downhill and hence giving you more accurate information. There are no annual fees for course upgrade or for the device meaning you will not have to spend anything more than the buying price. Garmin Approach G8 is extremely easy to use since all you need to do is charge it and power it up and everything else is done automatically. The portal can save scores and track your progress. Compared to other devices there are fewer mapped targets in the G8. A sequence of up to 7 buttons will be needed to view your scorecard, and this can be tedious when playing. 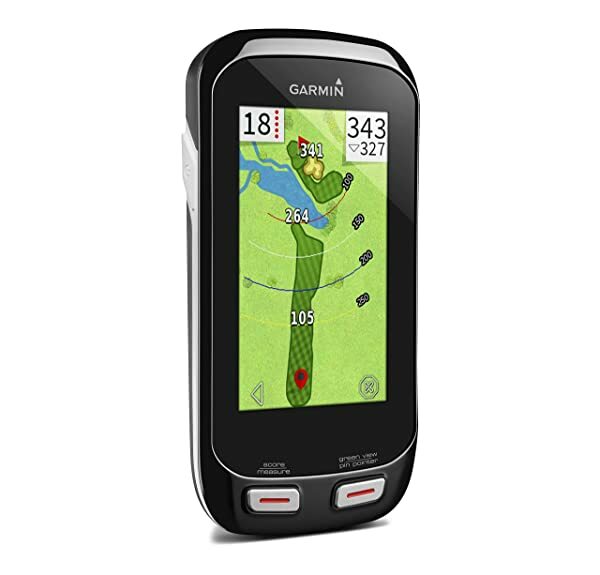 With a three-inch color display and more that 38,000 preinstalled golf courses from around the world, the Garmin Approach G8 makes the cut as one of the best golf GPS in the market. Having tried it and still using it, I would highly recommend it to any golfer whether they are new in the sport or pros. Although the price is one the higher end of the scale, it is worth every coin spent on it.